Home » Summer Camp for kids! It's an amazing powerful experience to sit in a room with 14 women who have just been released from prison and now are in jail to finish their time and try to persuade them in some way to change their lives. To see them at first sit there and smirk and lean back in their chairs and then once the presentation starts become engaged, lean forward, and become involved. This hour long presentation might be considered a metaphor of what the DeMuniz Resource Center is working to have these women accomplish. Again, it is very powerful to be involved in trying to enable these women to tip the scales in their lives from antisocial living to positive "Opportunity" and productivity. They were interested! They asked Yvonne Putsey, Matt Husinger, and me many questions and gratefully thanked us at the end of the presentation. Jack Tally, of the DeMuniz, calls it transformational psychology, and if you ask me helping convicted people change their lives instead of just locking them up is one of the great discoveries of the 21st century. DeMuniz is having successes at it, so it can work. What great potential is there to unlock!!!! 1. 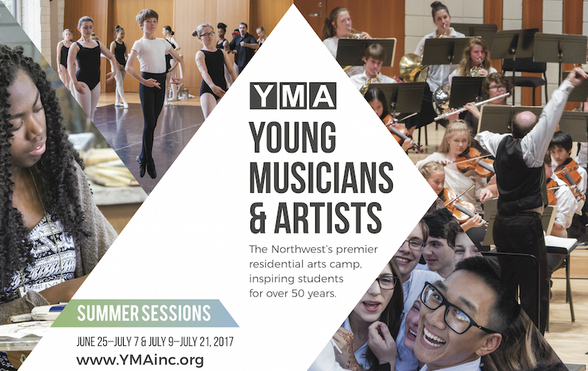 We have a wonderful new "Partner" Young Musicians and Artists Inc., the Northwest's premier summer music and arts camp. It's an excellent program that's been around for 50 years and offers "All!" young talent scholarships, if they and their families have limited financial means. It's held on campus at Willamette University. 2. The Associated Chamber Music Players inspired Play-In is taking shape. Due to our abilities and resources we changed the format a bit and the Chamber Players will be hosted at the Salem Art Associations Bush Barn or Annex, we will have folk music at the Charles and Martha Brown House in Stayton and World Music at Woodland Chapel. This will be the weekend of March 4th and 5th. Admission for the event at "All!" venues will be free! And this will be advertised to "underserved" people. OfficeMax is providing posters for the event. 3. For the month of January 2017 our Drupal statistics page has displayed some amazing statistics for the "Salem For All!" website!- 1960 unique visitors and 3,733 visits those are fabulous results and we hope they truly reflect interest in our "Opportunities' and not shoddy statistic keeping by Drupal. They are exciting though!!!! 4. Facebook page has 480 Likes through this week. 5. Many thanks to George Struble and Mark Babson, both accomplished musicians, who have been helping us recruit local musicians for the Play-Ins. See them on the "Salem For All!" website. Young Musicians & Artists is committed to providing more equitable access to arts education. Through financial aid programs, community partnerships, diversity training, and recruitment efforts, each summer we create a safe, inclusive, and accessible experience for our entire YMA community. But the YMA experience goes beyond that. When we say "All are welcome here," we really mean it. 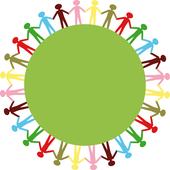 This beautiful community includes students, staff, supporters and alumni of so many different backgrounds, races, colors, religions, political beliefs, creeds, genders, gender expressions, ages, national origins, ancestries, disabilities, marital statuses, sexual orientations, and military statuses. Everyone's uniqueness enriches all of our lives. We love you all. Our doors are open; anyone who chooses to walk through them will always have a home here. 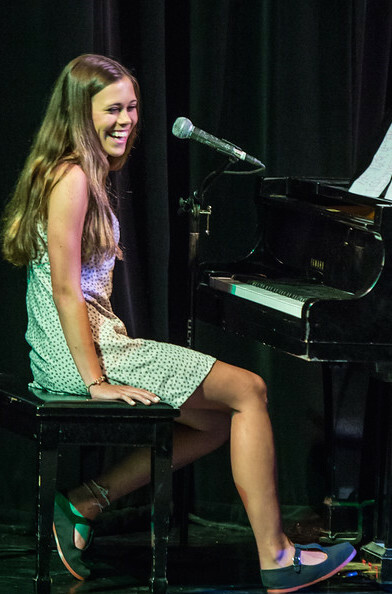 Songwriting is always one of YMA's most popular programs, and when you hear the incredible music these students create and perform, it's easy to see why! Download the 2016 Songwriting class's album for free today by clicking here, and prepare to have your mind blown! Led by experienced composer, performer and educator Dana Libonati, students learn the basic techniques and skills used in writing music and lyrics for their own popular songs. In addition to performing during the Performance Showcase toward the end of the camp session, they also have the opportunity to record their songs and can take part in one of the many talent shows at YMA. Songwriting students should be able to play basic chords on the piano and/or guitar. This is one of our most popular programs and space is limited, so sign up today and reserve your place before it's full! Just head over to www.YMAinc.org to register. Community Spotlight: Salem for All!